A few years ago, I decided to embark on a self-guided study of classical literature and history, starting with the ancient Greeks. I went through all of extant Greek epics and tragedies (Hesiod, Homer, Aeschylus, Sophocles, Euripedes), history (Herodotus) and some philosophy (Pre-Socrates, Socrates, Plato). Starting in the fall of 2015, the Program in Educational Technology, in collaboration with the professors and colleges at Adelphi, will be piloting the use of badges and gamification in its courses, starting with the use of badges on Moodle. More and more institutions of higher education and workplaces are playing around with the use of badges as an additional layer of feedback and we're hoping to bring it to Adelphi soon. I'm excited to be testing it on my course - EDT 503 - Technology and the School Curriculum, in August. I've already designed a system of badges to be used. This is new territory for me but I'm looking forward to it. Grant, S. & Shawgo, K.E. (2013). Digital Badges: An Annotated Research Bibliography. Retrieved from http://hastac.org/digital-badges-bibliography. More flyers! 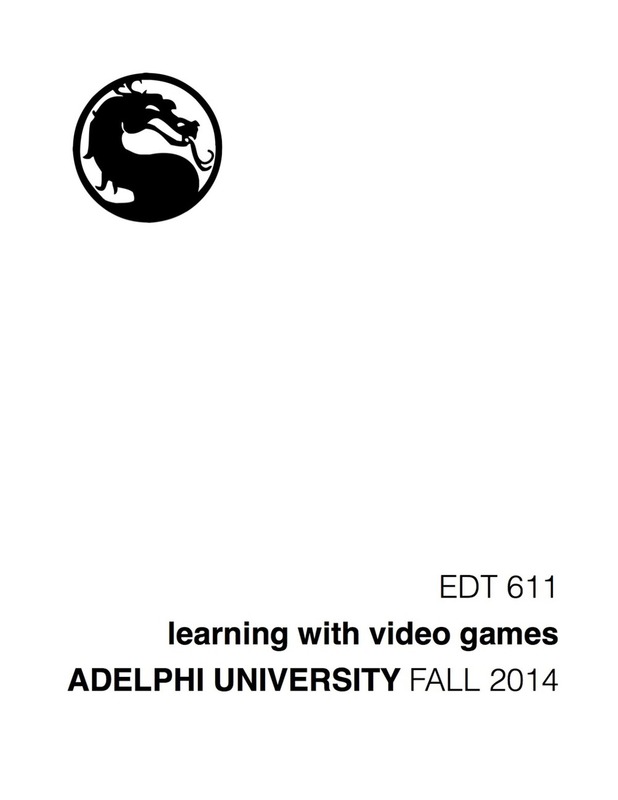 This time for my Learning with Video Games course at Adelphi University for Fall 2014. On June 25th, a group of students (Katy, Miheliwan and Christiana), faculty (Matt and Aaron) and a friend (Nicholas) were locked in a room for one hour as part of the “Escape the Room” experience. Once we went in, the door was locked and a computer started to count down from one hour. During this time, we had to solve a series of puzzles in order to unlock additional clues that would eventually lead us to a key that would open the locked door. If we can escape the room in this time, we “win.” (There is no prize, just bragging right, since only 15% of the participants is said to make it out in time). The experience – entitled simply “The Room” – allows for a maximum of six people to participate, and is set in a kind of Victorian setting. The puzzles didn’t need worldly knowledge (although they can help to some extent). In order not to ruin the fun for future attendees, we won’t go into the details of the puzzles, or how we solved them. But we will talk about what the experience allowed us to think about after the fact. Oh, by the way, we made it out in time!